Does N,N-Dimethyltryptamine (DMT) Adequately Explain Near-Death Experiences? • Michael Potts, Ph.D. Guest Editor's Foreword • Ryan A. Rominger, Ph.D.
After-math: Counting the Aftereffects of Potentially Spiritually Transformative Experiences • Janice Miner Holden, Ed.D. The Role of Spiritually Transformative Experiences in Religious History and the Development of a Scale to Measure Them • Stanley Krippner, Ph.D. The Challenges of Traveling a Psychospiritual Path in Today's Postmodern Western World • Judith S. Miller, Ph.D.
An Ethnographic Study of Near-Death Experience Impact and Aftereffects and Their Cultural Implications • L. Suzanne Gordon, Ph.D. Guest Editors' Foreword • Ryan A. Rominger, Ph.D., and Janice Miner Holden, Ed.D. Integration of Spiritually Transformative Experiences: Models, Methods, and Research • Ryan A. Rominger, Ph.D. Adults' Reports of the Role of Psychotherapy in Integrating Their Childhood Near-Death Experiences: A Premlimary Investigation • Jenny R. Moores, Ph.D., and Sue Ammen, Ph.D.
An Exploratory Study of Recalled Childhood Spiritually Transformative Experiences Among a Specialized Population • Jennifer Elam, Ph.D. 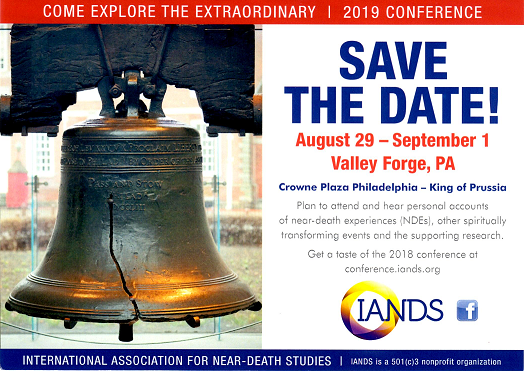 The Field of Near-Death Studies Through 2011: An Updated Analysis of the Scholarly Periodical Literature • Saharnaz Loseu, M.S., Janice Miner Holden, Ed.D., Lee Kinsey, M.S., and Rozan Christian, Ph.D.
On the Term "Peak in Darien" Experience • Masayuki Ohkado, Ph.D.
Brief Report: Induced After-Death Communications: An Update • Mo Therese Hannah, Ph.D., Allan L. Botkin, Psy.D., Joseph G. Marrone, Ph.D., and Jenny Streit-Horn, Ph.D.
Brief Report: Psychotherapeutic Outcomes Reported by Therapists Trained in Induced After-Death Communication • Allan L. Botkin, Psy.D., and Mo Therese Hannah, Ph.D.
Book Review: The Last Frontier: Exploring the Afterlife and Transforming Our Fear of Death, by Julia Assante • Reviewed by Cecile Brennan, Ph.D.